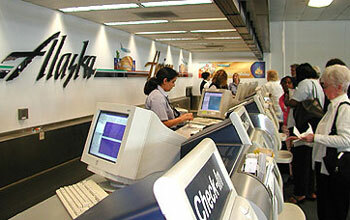 Alaska Airlines is established in 1932 and based in Seattle Washington, United States. The airline company has its main hub operated at Seattle-Tacoma International Airport and Ted Stevens Anchorage International Airport. Alaska Airlines had a subsidiary airlines called Horizon air and together they operates scheduled passenger and cargo flight services to over 92 destinations across Alaska, the Lower 48, Canada and Mexico. With more than 12 million passengers carried every year, Alaska Airlines has substantially grown from a mere regional airline to one of the most reputable airline company in the nation. 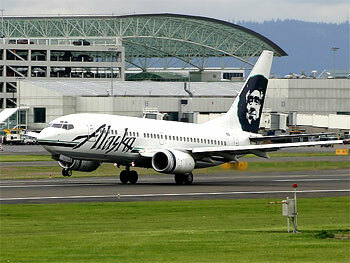 Alaska Airlines has a flight route system which covers over 40 cities throughout United States, Canada, and Mexico. The airline is regarded as a pioneer of the technology, and was among the first to sell tickets on their own Web site, allowing online registration, and install itself arrival in kiosks at airports. Alaska a historically one of the largest transportation on the west coast of the United States as well as to and within the State of Alaska, with a strong presence in Seattle, Portland, San Francisco Bay and Los Angeles Metro Area ( five airports) Alaska Airlines regional carrier, Horizon Air, is closely integrated with Alaska's operations, with Alaska and Horizon shares many routes. Alaska and Horizon belong to the same parent company, Alaska Air Group. In 2006 the company launched its purchase onboard meal program, known as the Northern Bites, on most flights longer than three hours in duration, including all transcontinental flights. In addition, Alaska offers a five dollar "Picnic Pack" on all flights. Complimentary meals or snacks are served to passengers in the first-class cabin. Since the 1970's, Alaska Airlines has included a prayer card with each meal in flight, which cites a verse from the Bible. Alaska Airlines is recognized by the World Airline Entertainment Association (WAEA) as a "historic first" in Entertainment by introducing in October 2003 portable hard disk based audio-video-on-demand players which offer a range of Film, TV and audio programs. The device, called the digEplayer has been designed and marketed by a manager of Alaska Airlines baggage Bill Boyer Jr.